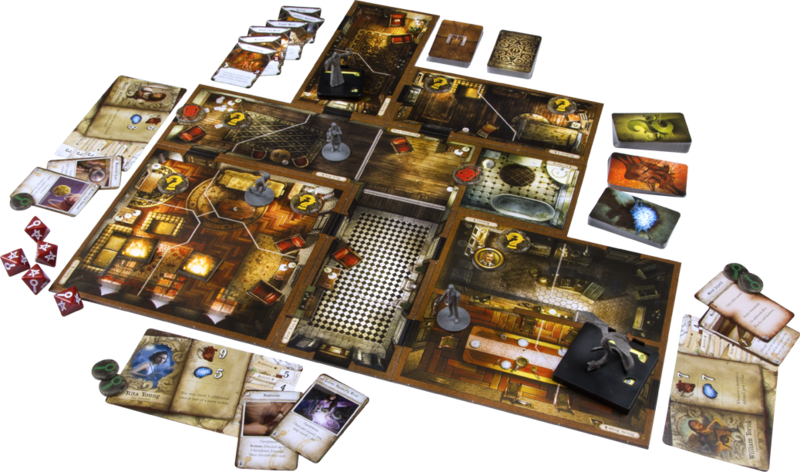 Mansions of Madness Second Edition is a fully cooperative board game of horror and mystery for one to five players, set in the same universe as Eldrich Horror and Elder Sign. Explore the veiled and misty streets of Innsmouth and stumble through the haunted corridors of Arkham’s cursed mansions as you search for answers and respite. Take on the role of a brave investigator, ready to confront gripping scenarios of fear and mystery. Maintain your sanity as you search for the truth, collecting weapons, tools, and information, solving complex puzzles, and fighting grotesque and terrifying monsters. Open the door and step inside the hair-raising Mansions of Madness Second Edition. Survival alone won’t be enough to escape the evils terrorizing this town. 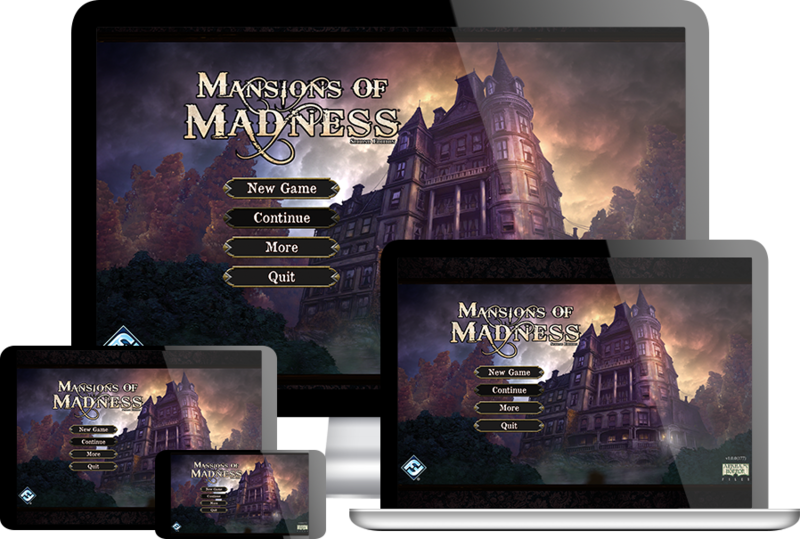 New to Mansions of Madness Second Edition is the free companion app, available on iOS, Android, Mac, and PC. The app takes on the Keeper's responsibilities, making your investigation fully cooperative. Once you choose a narrative scenario to confront, the app will randomize a map for you to explore, the spine-chilling creatures you will encounter, and a number of items and events that will reveal themselves as you move about the board. These elements will be hidden within the app until you are able to uncover each and every cryptic detail. When you reach a new part of the map, the darkness will lift, expanding the game board as you play. 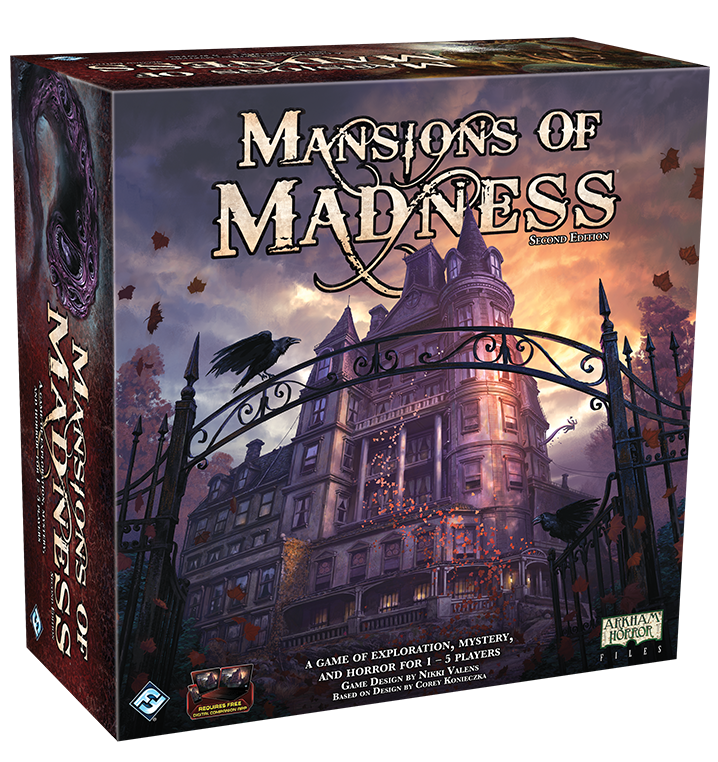 Owners of the first edition of Mansions of Madness can even further expand Mansions of Madness Second Edition by bringing in map tiles, monster figures, and investigator miniatures from both their original core game and expansions. 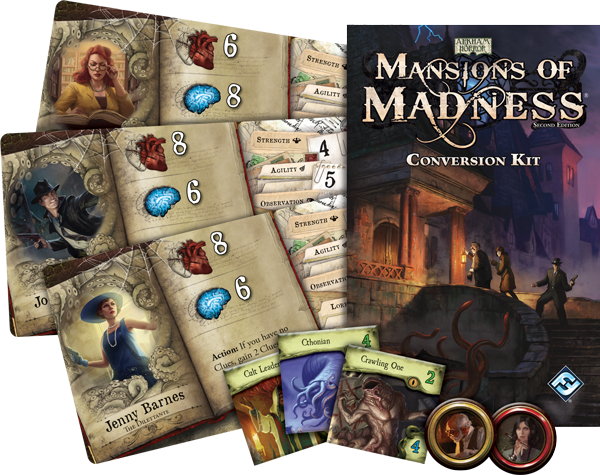 The conversion kit contained in the Second Edition core set includes cards that will enable you to play as all sixteen investigators from Mansions of Madness as well as the Forbidden Alchemy and Call of the Wild expansion packs. The kit also includes 33 monster tokens and four person tokens, allowing you to bring familiar friends and foes back to your Mansions experience. The intuitive app will allow you to input each these game into your collection, and it will then draw from those games’ monsters, map tiles, investigators, and people as it generates the details of each scenario.